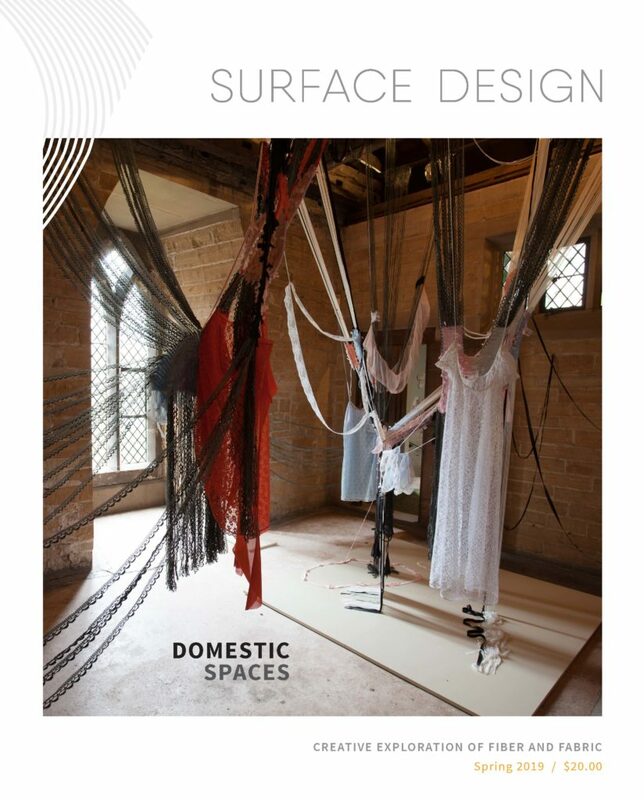 Surface Design Journal is a quarterly print publication that brings the world of contemporary fiber arts to your fingertips. International in scope, articles focus on contemporary textile and fiber-based art and design through a breathtaking array of concepts, applications, processes, and materials. The Journal delves deeply into the latest trends, expands existing knowledge about technique or applications and inspires readers in the studio and beyond. Available in print and digital editions, the Surface Design Journal is included with every membership to the Surface Design Association. Join now! Check out the Master Table of Contents of every digital edition (2012 to present) to search for a topic, artist, technique or material online or on the App. The digital version of the Journal features bonus videos, links, and digital exhibition catalogues unavailable in the print edition. Current journals using a browser. Current and archived journals using the Surface Design App on a mobile device (see below to download the app). Digital editions feature bonus videos, links unavailable in print. Purchase individual print issues, or individual digital editions through the App.